SCKLM 2015 receives over 25,000 entriesin 48 hours! The Standard Chartered KL Marathon 2015 has received over25,000 successful registrations in just 2 days. Rainer Biemans, Director of Dirigo Events Sdn. Bhd. & Event Owner and Organiser of SCKLM would like to thank all participants for their amazing support. Entries for the 1 km Kids Dash, and the MSIG 10 kmCruise and Leisure category is closed as the categories havereached full capacity. However, the 3 km Kids Dash, 5 km Fun Run, MSIG 10 KM Speed Category, Honda Half Marathon (21.095 km), and the Marathon (42.195 km) is still available. All race registration fees are now at normal rates as all early bird entries are sold out. Registration closes once it reaches 35,000 entries. Back for the seventh year, the Standard Chartered KL Marathon is scheduled to take place on 4 October 2015. The marathon will open to 35,000 participants, ranging from elite athletes to first-time distance runners. A truly international event, the Standard Chartered KL Marathon boasts participants from all over Malaysia and over 48 countries. 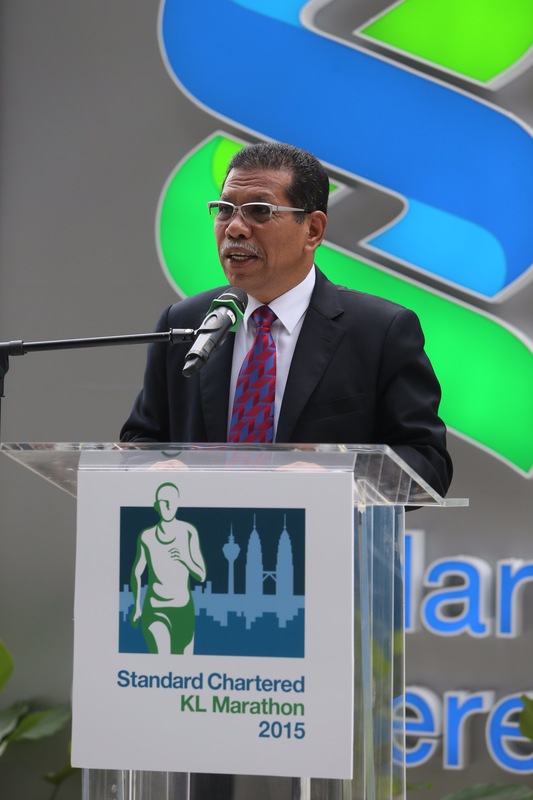 The Standard Chartered KL Marathon 2015 continues as Malaysia’s premierrunning event with top runners competing for a total of USD125,000 prize money. For more information on the Standard Chartered Kuala Lumpur Marathon, please refer to: http://www.kl-marathon.com/ andhttp://www.facebook.com/SCKLmarathon. We are a leading international banking group, with more than 90,000 employees and a 150-year history in some of the world’s most dynamic markets. We bank the people and companies driving investment, trade and the creation of wealth across Asia, Africa and the Middle East. Our heritage and values are expressed in our brand promise, Here for good. Standard Chartered Bank, a member of the Standard Chartered Group was established in Malaysia in 1875 and incorporated as Standard Chartered Bank Malaysia Berhad in 1984. As Malaysia’s first bank, Standard Chartered leads the way through product innovation, consistent and strong growth performance and sustainability initiatives. The Bank provides acomprehensive range of financial products and services to corporates, institutions, small and medium-sized enterprises and individuals through its network of over 40 branches across Malaysia. In 2001, Standard Chartered PLC established its third global technology & operations centre, Scope International, in Malaysia – the first international bank to do so in the country. Scope International provides software development, banking operations, IT support services and customer service capabilities to the Bank in up to 70 countries. It now houses the biggest software development company in the country, International Software Centre Malaysia (ISCM) and has a total workforce of more than 3,200 people. Price Solutions Sdn Bhd, a wholly owned subsidiary of Standard Chartered PLC is also located in Malaysia. The company promotes and markets Standard Chartered’s financial products in Malaysia through a network of direct sales agents. Dirigo Events Sdn. Bhd, an award-winning event management company founded in 2011 by Rainer Biemans and Gloria Ng, owns the Standard Chartered KL Marathon. The event has attracted not only Malaysian runners, but runners from 48 countries. 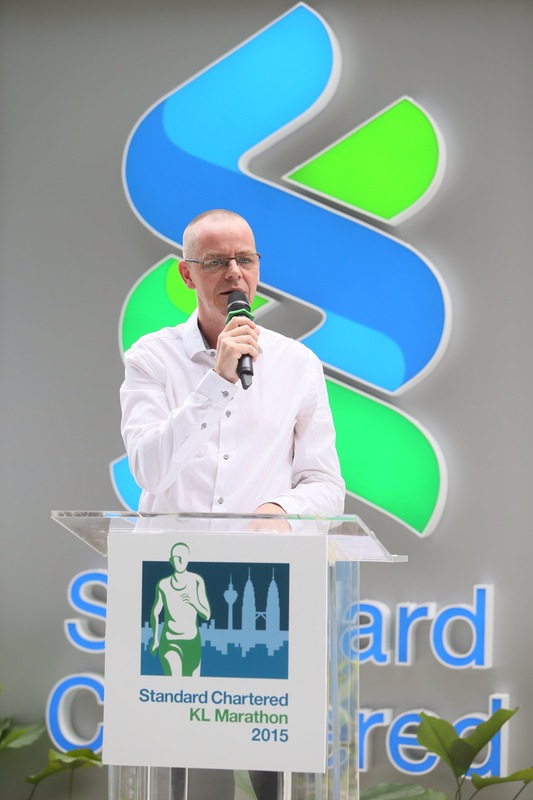 Standard Chartered KL Marathon was awarded the Platinum award in the Kuala Lumpur Mayor’s Tourism award in 2014 for attracting tourists to Kuala Lumpur. The award is a demonstration to Rainer Biemans’ and Gloria Ng’s combined experience of over 48 years in executing and creating world-class and impactful events for international clients around the world such as Europe, Brunei, India and Singapore. For more information on Dirigo Events, please contact +603 7887 1717 or email dirigo@dirigo.com.my. This entry was posted in 10km, 21km, 42km, DBKL, Event, Event Organiser, Full Marathon, Half Marathon, Happy Runner, Keypower Sports, Kuala Lumpur, Malaysia, Marathon, October, Race Director, Running, Running Event, SCKLM 2015, Sports and tagged dataran merdeka, Full Marathon, half marathon, Happy Runner's Pick, kuala lumpur, October, Rainer, Running, SCKLM 2015. Bookmark the permalink.